RoseAnn Dalmas began volunteering for the faith-based youth organization Pathfinders when her son was just 10 years old. Dalmas continues in the volunteer role of director for that organization some 25 years later. Today, though, she has a new job serving older adults, partly as a result of this volunteer role. 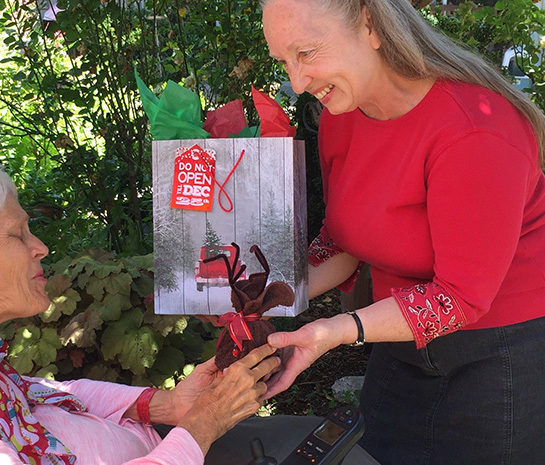 When Dalmas was looking for a job after 30 years out of the workforce, she thought about the possibilities of a CAREGiverSM position with Home Instead Senior Care, the Be a Santa to a Senior program sponsor. 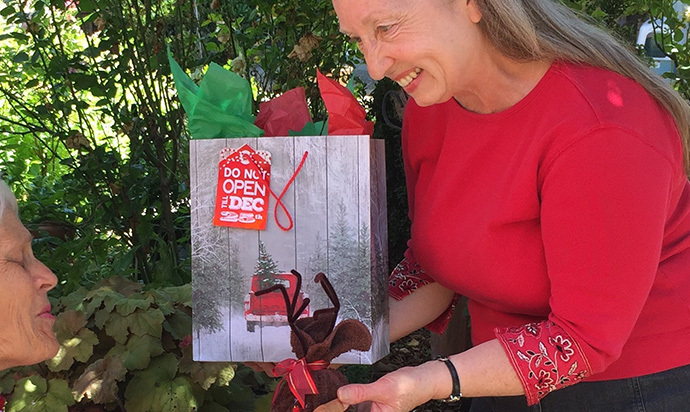 What’s more, Dalmas’ experience as a volunteer not only led her to a new career as a CAREGiver, but continues to generate feelings of fulfillment. Her sentiments are common among older workers and volunteers, experts say. According to research from Elizabeth W. Dunn, Lara B. Aknin and Michael I. Norton, volunteering and charitable giving can contribute to the improved well-being and health of volunteers and donors.